Rina's Rainbow: Pico De Loro Cove’s Pico Astro Camp this Summer! Pico De Loro Cove’s Pico Astro Camp this Summer! I remember when I was still a kid, one of the pastimes that my cousin and I love to do during browouts is to stargaze. My late uncle Bobby actually had a telescope and we would hang out by our old family house’s huge terrace and fall in line one by one to take turns peeping at the telescope. Often times we would even see shooting stars! What fun childhood we had and I’m really thankful for that! 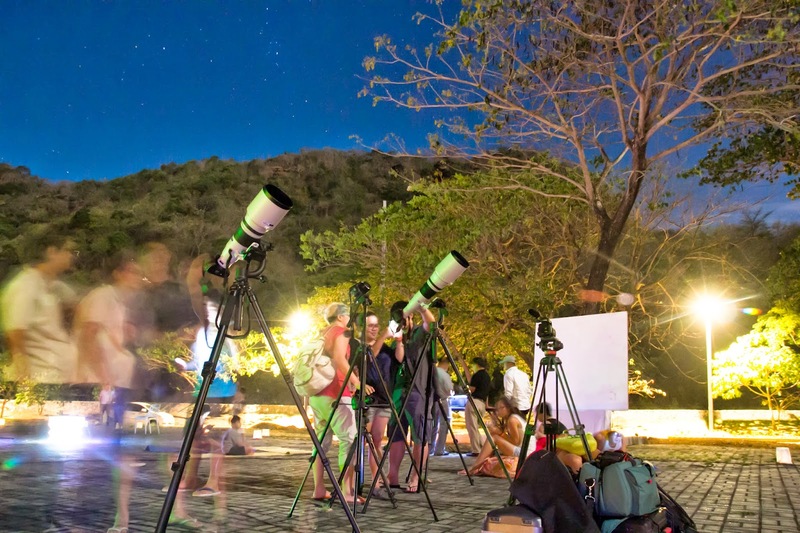 But this summer, kids can experience this too and look up at the stars and planets with an amazing star gazing experience only at Pico De Loro Cove’s Pico Astro Camp happening on April 26, 2014! The Pico Astro Camp, together with the country’s foremost Astrophysicist Dr. Rogel Sese, Ph.D and Regulus Spacetech, aims to teach space science and astronomy by not just peeping through telescopes, but through fun, educational, and interactive games and activities for kiddos! For children ages 5-10, they can learn more about how huge our galaxy is and everything in it, and how it all works by making beautiful arts and crafts. While children ages 11-15 years old will have the time of their lives as they race their very own homemade rockets in a friendly rocket race! Rates are only Php1,200 per person (members), and Php1,500 per person (non-members). And of course, everyone can experience watching the cosmos with their naked eye using powerful specialized telescopes! Even the parents for sure will feel like a curious kid again! Come and join this fascinating galactic experience only at Pico Astro Camp. For inquiries, call +63 2 464 7845.
do you have other schedule/s this summer for this Astro Camp? Winter is about cutting blubbery accouterment Moncler outlet and on the best best of jackets can be begin at the outlet. They accept fashionable jackets accessible that appear in altered sizes, styles and designs. Cutting one can absolutely accord amore abnormally during the coldest acclimate in the year. If you wish to buy a Moncler coat, you do not charge to acquisition an aperture or bazaar their abundance can be begin online through this website.By visiting the site, you will see a array of Moncler coats for both men and women. Outstanding Angus Beef Tapa by Jams Food & Co! Fan Girl Mode at the New Greenwich Pizzeria! Two New Lysol Products Moms will Just Love! Welcome Back The New Beetle! Make a Difference in Life with MADiL Flip Flops! CalChews : My Yummy New Daily Vitamins! Spend the Lenten Season At F1 Hotel Manila! Magnum Manila Opening On April 8 2014!